At the age of 85, US. 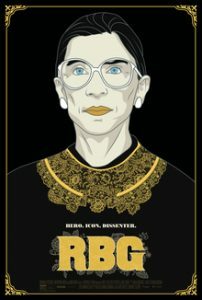 Supreme Court Justice Ruth Bader Ginsburg has developed a lengthy legal legacy while becoming an unexpected pop culture icon. But the unique personal journey of her rise to the nation’s highest court has been largely unknown, even to some of her biggest fans – until now. RBG explores Ginsburg’s life and career. A discussion will be held following the film. Zion Tankard is a community advocate, and women’s rights activist. Ms. Tankard’s educational forte is in Family/Child Development and Business. Zion serves as co-facilitator for Partners Against Crime for District – 2; school board member for Voyager Academy, and also the current chair of the Durham County Women’s Commission. Zion has a passion for community relations and healthy families. In 2016, Durham County became the first in the State of North Carolina to adopt a resolution for Counties For the Elimination of All Forms of Discrimination Against Women (CEDAW) – Zion was instrumental in paving the way for this to occur. 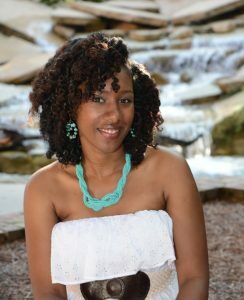 In 2017 Ms. Zion Tankard was nominated “Tar Heel of the Week,” by the Durham News and Observer. Zion resides in her Durham, North Carolina home, with her husband and four children. Carolyn McAllaster is the Colin W. Brown Clinical Professor of Law at Duke University School of Law and the founder of the Duke AIDS Legal Project and the Duke HIV/AIDS Policy Clinic. She directs the Southern HIV/AIDS Strategy Initiative (“SASI”) and is a past co-chair of the North Carolina AIDS Action Network. She was a co-founder and first president of the NC Association of Women Attorneys. McAllaster teaches HIV/AIDS and the Law, Readings in Transgender Issues, as well as clinical law courses focusing on HIV/AIDS law and policy issues. She received the Positive Leadership Award from the National Association of People with AIDS in 2012, the Alexander D. Forger Award for Excellence in HIV Legal Services and Advocacy from the American Bar Association in 2013, and in 2016, she was named in the POZ 100 celebrating people working to end the HIV/AIDS epidemic by POZ Magazine. 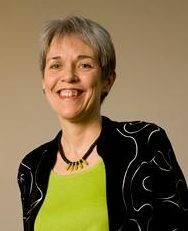 Professor McAllaster is the author of several articles or chapters in books and is a frequent speaker on HIV/AIDS and the Law issues. She is motivated in her work every day by her amazing younger brother, Joseph McAllaster, who died of AIDS in Boston in 1993.